David has 16 years’ experience in the Information Technology field. 12 of those years, include 3 years spent in various locations in Iraq where he spent time honing his craft within the United States Army. While in the service David wore many IT related hats including, Section Chief, Team Leader, Squad Leader, and Platoon Sergeant. 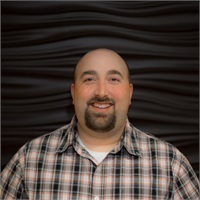 Prior to joining the Stratos IT team David worked as a Help Desk Tech for CornerstoneIT in Mentor, OH. David is originally from Adrian, Michigan but currently lives in Lyndhurst, OH with his wife and 2 daughters. In his spare time, he enjoys spending time with his family and furthering his education.